Despite their brotherhood, Aaron and Phil Reed didn’t start playing music together until five years ago when Phil left their hometown of St. Charles, MO to join Aaron in -- where else? -- the Pacific Northwest. 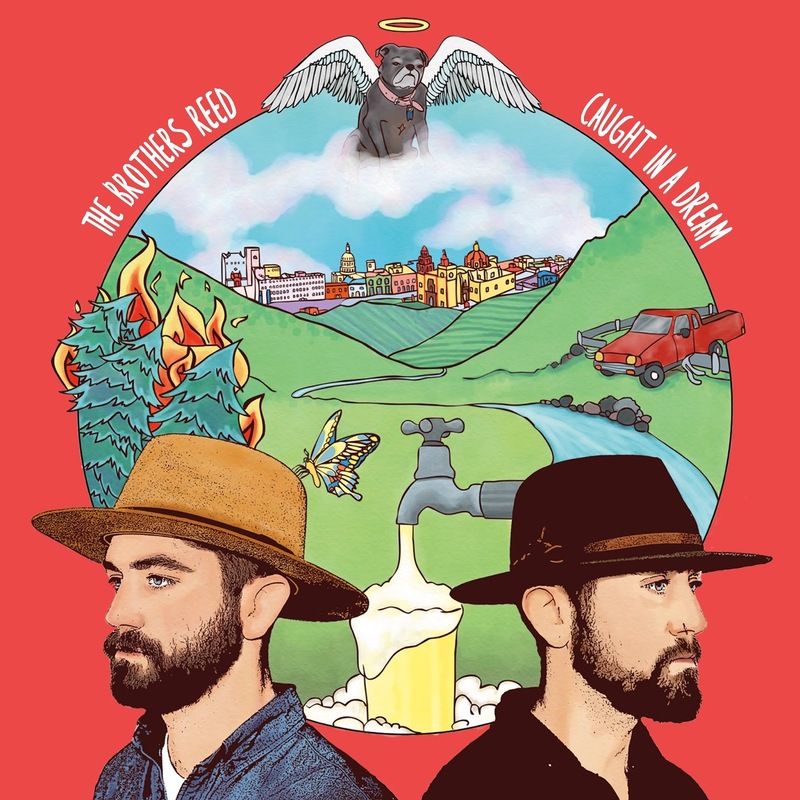 Though the brothers have since developed their own brand of finger-picking folk, the pair have racked up hours of experience in bands that ranged from heavy metal to reggae and rock, to punk, country, and funk. That musical voraciousness is clearly an asset to the brothers' songwriting. With their fourth record Caught in a Dream, The Reed Brothers are pushing their limits even further. When I first heard the gently lilting "Irish Hymn," I thought it must be a traditional song. It has a timeless quality that will haunt you long after the last string is plucked. All This Huxley (a pun on a certain author's name) have a knack for building their songs around hypnotic riffs. The Philly-based band is prepping their next EP, Home Stockholm, a melange of indie rock, folk, and good old-fashioned alienation. "Comrade II" shows the band's strengths and serves as a strong reminder of the importance of individual privacy. You'll have to dig a bit deeper for that theme, but All This Huxley's subtlety makes this song -- and the EP -- a rewarding listen. 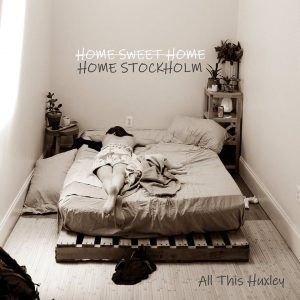 Home Stockholm will be out July 5th. Lyman Ellerman is the living embodiment of redemption through music. 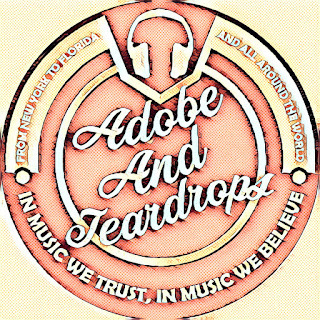 We featured music from his last album, If I Was a Train, a few episodes back on the podcast. That album teased apart Ellerman's experiences with addiction and recovery. Next up for Ellerman, though, is an emphasis on recovery -- and thriving. "I'm still a firm believer that music should be used for good - inspiration, action, acceptance, healing, laughter", says Ellerman, and his new music does just that. It's possible even to have upbeat songs that are sincere -- and pack a punch. That's what we see here in "Alabama Way." "My wife was born in Alabama and it started life as a song about her and how I perceive her," says Ellerman. "But I wanted it to be more universally free so to speak. It felt good. It took a while to find that 'feel good' vibe. But when we did, and started recording it, I was finally able to write the last verse. And playing the song live, we've had probably the best reception of any new song I've ever brought out." Busking brass bands and Jason Isbell’s star turn. You never know what kind of mark you'll leave on other people. I just ran into a student I taught four years ago. He gave me a big hug. I'm not saying I had a large part in his decision to go to law school, but considering I made him write a paper defending the Edward Snowden and Chelsea Manning's convictions under the Espionage Act (the position was all his, I assure you) I'm not saying I didn't play a part in it. That's how I feel when listening to Los-Angeles-based band The Graylings. The folk influence is clearly there, though a deep dive into their debut album, Tell Me How It Ends, reveals a unique pastiche of sounds. First off, The Graylings' strong sense of melody and ethereal, layered harmonies will feel a bit otherworldly. It doesn't hurt that the album's first half has a strong goth-folk tinge. It may all be a bit baroque for some listeners -- particularly Bridget Galanis' operatic vocals -- but you shouldn't let any of this turn you off. The band's unabashed sincerity is what sells it here. But there's another layer. Or, perhaps, Slayer. 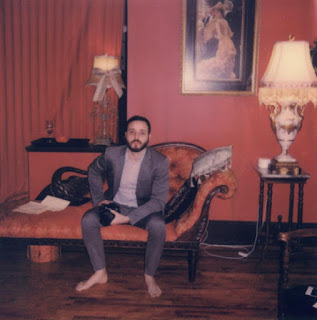 As Tell me How It Ends winds down into its second half, we also see the band fitting into a sound that feels more natural: grounding themselves in 90s alt-rock, songs like "Honey Bee" display The Graylings' edgier side while sticking true to their flights of fancy. "Slayer on Cassette" sports a gentle midtempo deep and showcases Galanis' serious pipes, though the seemingly autobiographical song captures the rage and frustration of isolation -- and the things that help bring us back to ourselves. And if it wasn't music, none of us would be here. Toronto's Meanlife really leans into their name. 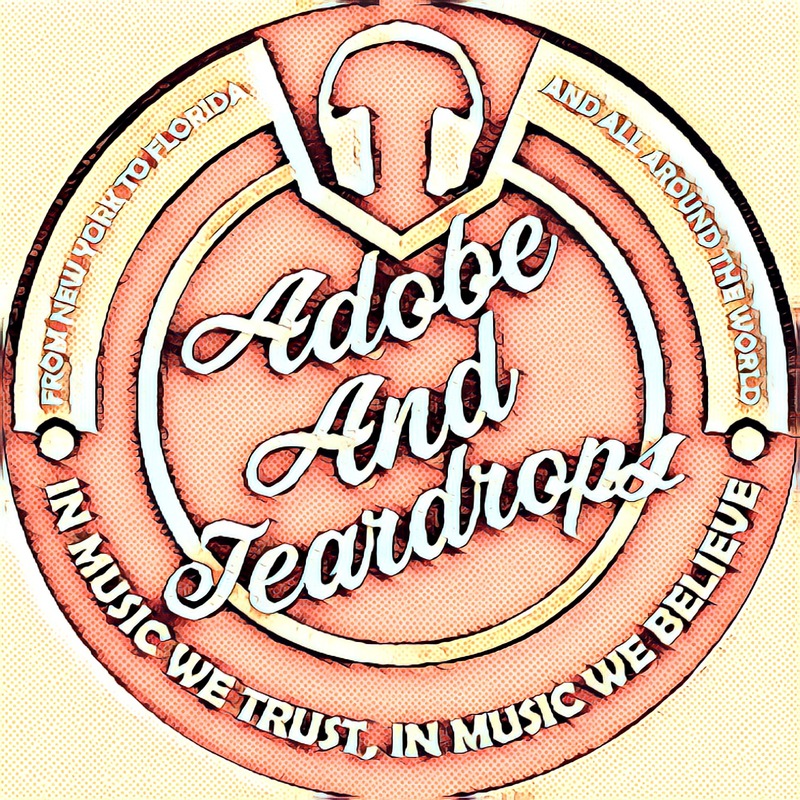 You'll hear a few of their songs on tomorrow's episode of Adobe & Teardrops, but you can see here on "Fuckable" that the band really leans into all of the spite and bile they collectively contain, using witty indie rock and punk to vent it. As far as outlets go, there are worse! And Meanlife makes sure to add some humorous honey to the vinegar of their broader themes. "Fuckable" hits me right in the feels -- those moments where you feel so isolated and disconnected in spite of the many, shallow opportunities to connect (or "connect") with people. For me, Meanlife is all about letting yourself wallow in those emotions for a bit before returning to the rest of your day -- not to mention a broader emotional palette. Their first album, BAD VIBES, will drop July 1st. You can hear tomorrow's podcast episode today when you subscribe to our Patreon! Want to wait 'til Friday? Find us on your favorite podcast app or check back here tomorrow! Q&A: Thin Lear -- "Death In a Field"
What do you get when you combine steel guitar and meditations on death and reincarnation? Why, Thin Lear's "Death In a Field" of course. It's an incredible character study and seemingly light interpretation on one of the most terrifying -- or joyful -- experiences in life. Thin Lear was generous enough to answer some questions about the song. Your music is really eclectic! Where does that inspiration come from? Thanks! I try to follow the lead of each song, and not think too much about genre during writing or recording. So much of my recording process is trial and error, building tracks up just to strip them down again. I think I have to go overboard with instrumentation to know where the line is. When the arrangement itself starts overtaking the song, it’s time to chill out. But then when I strip things back down, the arrangements often have elements that are kind of intriguing combinations, like, with “Death in a Field,” the core instruments ended up being pedal steel, with synth and twinkling piano, in a kind of ethereal mix. And it just felt right, but I never would’ve started with that instrumentation. I had to find my way there. Could you tell us a little more about "Death In a Field?" Initially, I just had the opening line of the song: “I’ll survive as a child/All hungry and wild/Life overwhelming is life at the start.” I just really liked the concept of someone nearing the end of their life, and thinking about being reborn, being a baby again, and looking forward to the tremendousness of experiencing life for the first time. Someone at the end of existence feeling the tug of something new, and terrifying, and potentially beautiful. And then the choruses came out of that. Waking in the morning, or “drowning in an evening of lovely black sky,” indicate a kind of serenity in being swallowed up by eternity, and finding some sort of comfort in that. When I started writing the song, I had recently watched someone I love pass away in a brief, but organic way, and there were moments in their process of dying that seemed to bring revelations to them. The character in the song is of my own invention though. This character isn’t perfect, and is well aware of that, and is simply being honest about what they’ll miss the most, and what they’re looking forward to. And it isn’t always flattering, but it’s true to the character. This might sound incredibly pretentious, but I hope it connects them to a feeling or a memory of something sad or wonderful from years ago, maybe something they haven’t thought about in a while…a person or a moment. Songs I love really do that for me. Sometimes it’s hard for me to know how I’m actually feeling, so music allows me to dig past any confusion, and really uncover pieces of who I am and what brings me emotion. So, yeah, I hope the song opens a heavy door in someone’s mind. But, short of that, if it just makes people hum, I’d be completely happy with that as well. I’m not picky.